As a silversmith I have spent time learning the traditional skills involved in working with silver and other materials to create work that explores and celebrates the ideas of traditional craft. While studying at the Royal College of Art I was able to develop my design ideas and learn about new technologies which I combine to design and make silverware. 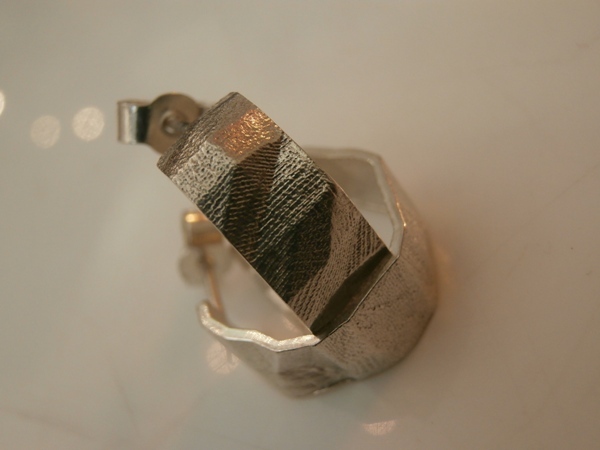 My work focuses on merging traditional silversmithing techniques with digital technology. While studying at the Royal College of Art I developed a user interface in the form of a hammer that works alongside computer aided design (CAD) software to mimic the physical actions of silversmithing, in particular the hammering process used in forming sheet metal. 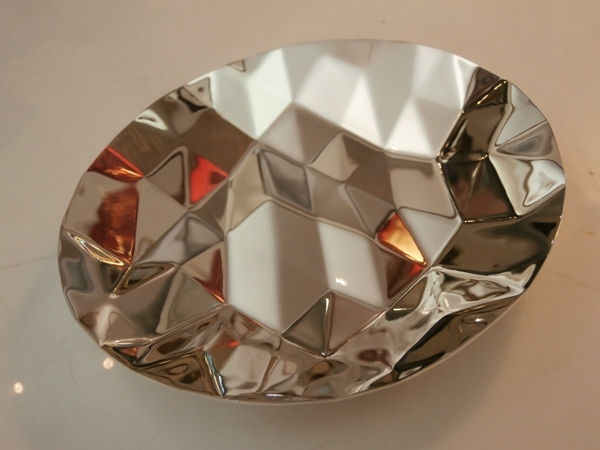 The faceted silverware and jewellery is designed using CAD and realised using processes such as Computer Numerical Control (CNC) milling and press forming and rapid prototyping and casting. The exhausted silverware collection is made using traditional hand techniques such as raising and forging. The pieces are designed based on the idea of function with a playful element as they take the form of the tableware they exhausted onto. This entry was posted in Uncategorized and tagged Royal College of Art, traditional craft, traditional skills. Bookmark the permalink.